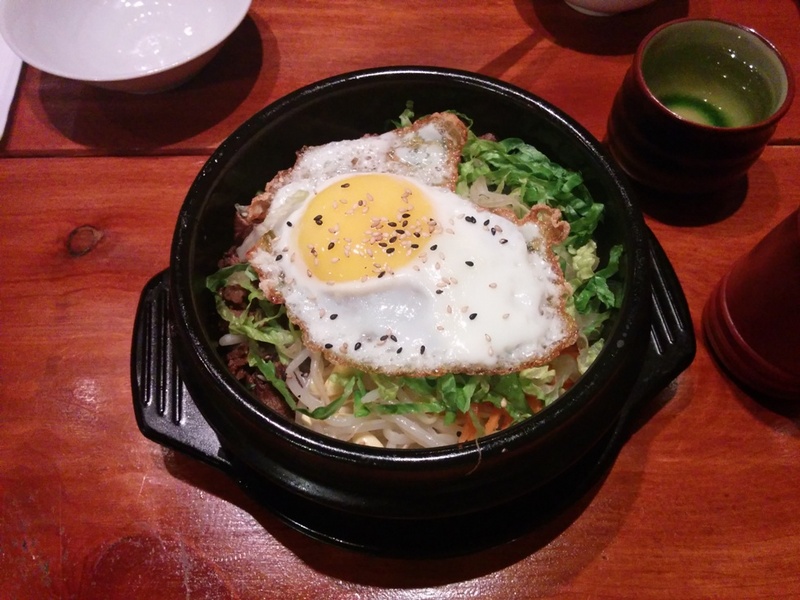 We were having a super late dinner at 9pm and we decided to share the Bulgogi Bibimbap which came with a lot of veggies (bean sprouts, carrot, lettuce) and a sunny side up egg. I found the beef to be a tad dry this time though. We wanted something light so we also had the Egg Drop Soup. It also came with a bowl of rice. The egg has a fluffy soft texture and tastes lightly salted. I ended up liking this more than I thought I would. Also, you need to mix this up with the soup at the bottom because once I ordered this and we didn’t mix it up first so the soup at the bottom evaporated due to the hot bowl after like 10 minutes! Then we were just left with the egg… just an FYI! Be sure to make a reservation since the restaurant is quite small. 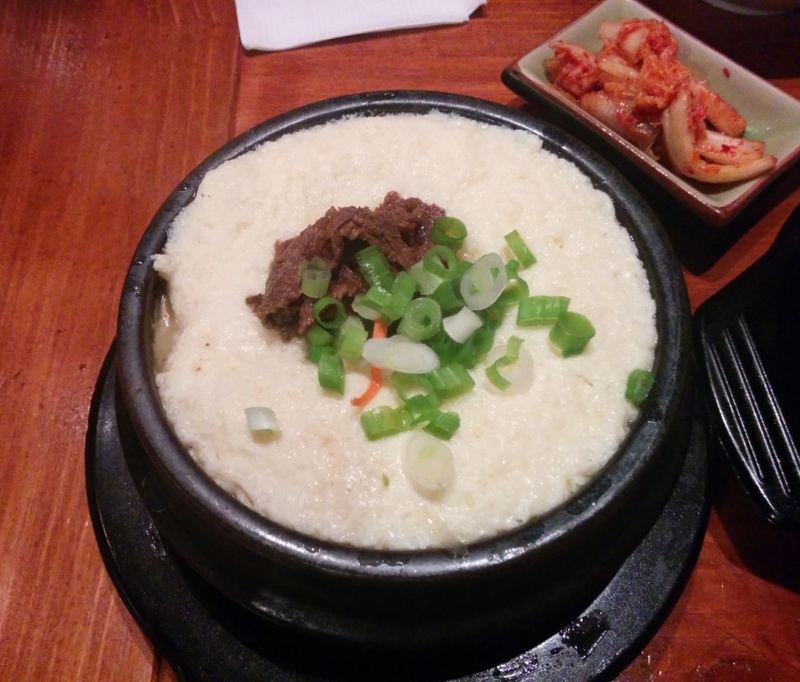 I also recommend this rice cake dish where they serve it with cheese and a meat pasta sauce! Not very traditional but very tasty! Read my first post here.